Jo Spence: The Final Project, curated by David Campany. An exhibition of the work of British photographer Jo Spence (1934-1992) produced in the last two years of her life before her death from leukaemia. Spence began The Final Project upon her diagnosis in 1991. It occupied her until her last days. Over the previous decade or so, she had become a key figure in the radical visual practices that had emerged in the UK. Beyond her direct working class experience and a long bout of cancer, she was galvanised by feminism, collective politics, and the work of the political avant-gardes of the 20s and 30s. She grasped the profound potentials of montage, which informed nearly all her work, and brought together incompatible ideas: the familial, sexual and medical gazes upon women’s bodies; personal memory and political consciousness; sincerity and the absurd; pragmatism and idealism; reality and myth. The Final Project looks to cultures that embrace and display death and dying in everyday life – Gothic imagery, Egyptian mummification rituals, or the smiling skeletons of the Mexican ‘day of the dead’. Spence “got to know death”. In place of her own deteriorating body she uses dolls and masks, her own equivalent to the Egyptian shabti dolls that accompanied the deceased to their afterlife. 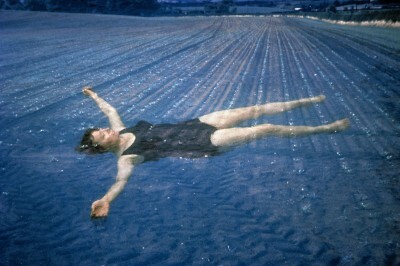 Below: Jo Spence, The Final Project, 1991 – 1992. Collaboration with Terry Dennett. Colour photographs. Copyright the Estate of Jo Spence. Courtesy Richard Saltoun Gallery.